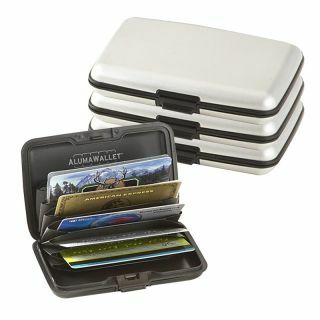 Its 6 PVC slots provides ample of space for your cards to be kept separately in each slot. Loaded with features like water resistance and crush resistance, this amazing card wallet is a must buy for all those who like to stay sorted. 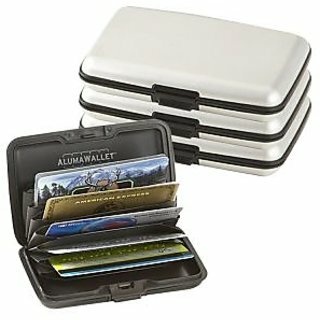 The Aluma Wallet is for both Men and Women. It has an ultra-sleek outer case with a multi-pocket accordion-design card holder on the inside. It is made of a lightweight aluminum alloy that is water resistant, crush resistant and ID theft resistant (protects RFID chips in credit cards).